This photo noise reduction tutorial is for beginner photographers, who want to reduce or get rid of noise in their digital images and don’t know how to do it. I will first explain what noise is and how you can reduce it in camera and then I will show how you can reduce it in post-processing, using Adobe Photoshop, Lightroom and commercial plugins for Photoshop. 1) What is Noise in Digital Images? See those tiny dots in the image? That’s what we call camera noise! Image noise originates from either the camera sensor or the sensitivity of the camera sensor, or sometimes both. Let’s talk about the camera sensor first. Every digital camera is equipped with a sensor that collects light particles via very tiny buckets called “photosites”, which later become pixels in the final digital image. For example, if your digital camera is equipped with a 10 megapixel sensor, it means that there are 10 million photosites present on the camera sensor. The size of the photosites plays a big role on the amount of noise that is present in the image. Generally, the smaller the photosite, the noisier the image gets. This is where the size of the sensor comes into play. If you took a DSLR and a point and shoot camera and both have 10 megapixel sensors, the DSLR would yield a much cleaner image with a lot less noise when compared to the point and shoot image. This is because DSLR’s have much bigger sensors (full frame sensors can be 15+ times bigger in size than sensors in point and shoot cameras) and therefore can accommodate larger photosites compared to point and shoot. If you use a phone camera, you might see plenty of noise in images even during bright sunny days, which happens because too many pixels are crammed into a tiny sensor. Consequently, smaller sensors with a large number of pixels generally produce noisier images. The second source of camera noise is the sensitivity level of the camera sensor, known as ISO in photography. If you do not know what ISO is, I highly recommend reading my “Understanding ISO” article that I wrote a while ago. Basically, as you increase camera ISO, the amount of noise automatically increases as well. For example, increasing ISO from 100 to 200 doubles the sensor sensitivity and could therefore result in more noise. Now what happens when you couple a small sensor with high ISO sensitivity? That’s where you could get a trashed image, where you will not only see a lot of noise/grain, but also bad colors and all kinds of artifacts in the image. If you are getting noisy images out of your camera, it could mean two things – either the size of the camera sensor is too small (as pointed out above) or the ISO level in your camera is too high. While there is not much I can do to help with the former, you can certainly fix the latter by changing the ISO level or “maximum ISO level” on your camera. Bear in mind that by changing the ISO level in your camera, you are essentially decreasing the sensitivity of the sensor, which might result in slower shutter speed. In turn, slower shutter speed could introduce camera shake or blur to your images, so you have to understand this relationship first. Check out my “Understanding ISO, Shutter Speed and Aperture” article to understand the relationship between camera ISO and shutter speed first. Decreasing ISO on digital cameras is very easy – check out your camera menu and if you don’t find it there, read the camera manual to find where it can be changed from. Many modern DSLR cameras such as Nikon D90 have an “Auto ISO” feature in the camera. Auto ISO automatically increases and decreases the sensitivity of the sensor based on the amount of ambient light. If you have wrong Auto ISO settings in your camera, you could be adding unnecessary noise to your images. See “what ISO should I set my camera to” to modify your Auto ISO settings. If you have a DSLR camera with a DX (cropped) sensor, I recommend setting “Maximum Sensitivity” to 800 and if you have an FX (full-frame) sensor, you can bump it up to 1600 or even 3200. Some people play with their camera settings and forget that they set their ISO to a really big number, which would obviously create a lot of noise even in daylight situations. Decreasing ISO to the base ISO level such as 100 or 200 would help in reducing and possibly eliminating noise in the images. If you already have an image that has too much noise, there are several ways to reduce the noise in post-production software such as Adobe Photoshop or Adobe Photoshop Lightroom. In addition, there are many third party utilities and Photoshop plugins that do a terrific job in decreasing noise in images without affecting the image quality. You can try removing noise through “Per Channel” tab in Advanced mode, but it was not effective at all for the above image. If you want to give it a try, play with the settings and see what you can get. Let’s take a look at Lightroom’s noise handling solution instead. Start off from Noise Reduction settings and first increase the Luminance level, which is the amount of noise reduction you want to apply. I used 100 for the above example. Next, go to Detail and experiment with it a little by moving it from left to right – it controls the amount of details you want to preserve in your image. If you move it all the way to the left, you will see that the whole image becomes very soft, including details that should not. If you move it all the way to the right, the image does not change much at all, because you are trying to preserve too many details. I find that values between 40 and 60 work best in most situations. When it comes to Contrast, which is a tool to remove contrast noise, I typically leave it at “0”. The same applies to Color and Color Detail – I rarely touch those settings, unless I have Color/Chroma noise that I need to remove from an image. Once you are done with removing noise from the image, if you see that you have lost some of the sharpness in your image, play with the Sharpening settings above – you can achieve great results by using sharpening and noise reduction together. Move your mouse over the image to compare it with the original version. If you want to get serious about your photography, you need to learn how to post-process your images and make them look good to present them to your potential clients, to show them on your web portfolio or print on paper. While having noise in your images can make them look interesting and film-like, not all types of noise look good and not on every picture. Most professional photographers shoot clean images and then add noise to them as an effect later, if necessary, rather than intentionally shooting with noise. 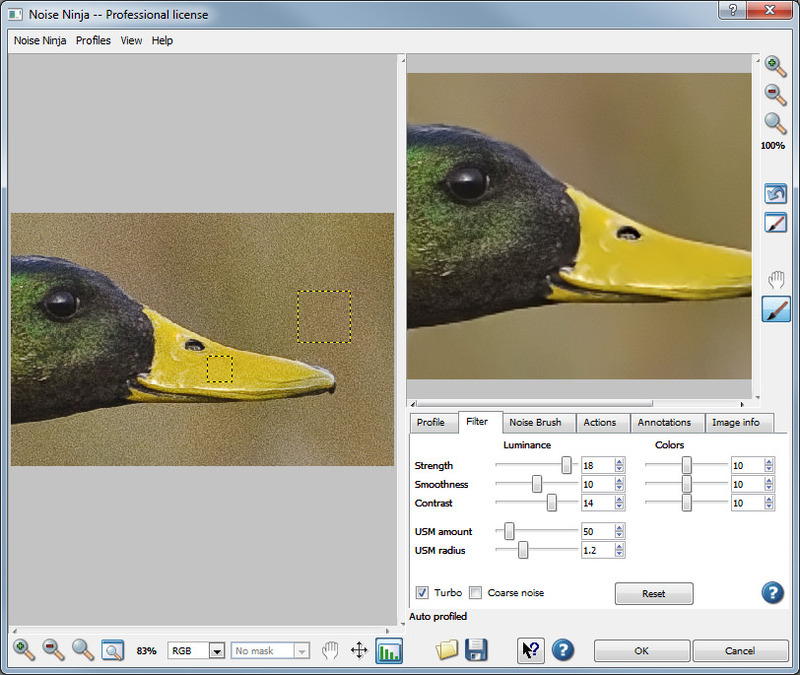 In many cases, noise degrades overall image quality and the above tools serve to help fix problematic photographs by removing noise from them. As you can see, most third party tools are very similar in their core functionality and certainly allow the granularity that neither Photoshop nor Lightroom can offer. If you do not already own noise reduction software, I highly recommend to try out the demo/trial versions of the above software and see what works best for you. I hope you found this article useful. If you have any questions or comments, please feel free to drop a comment in the comments section below. Digital noise Nikon DSLR cameras make is very nice – it is grainy and looks like from old analog cameras. It’s quite easy to reduce or remove it from picture without loosing details. My favourite software is Nikon Capture NX – not the best one but still good. Michael, I have heard a lot of good things about Topaz DeNoise. I will certainly give it a try and will update the above article with it. I’ve been waiting for long long time for an article like this about noise reduction methods. 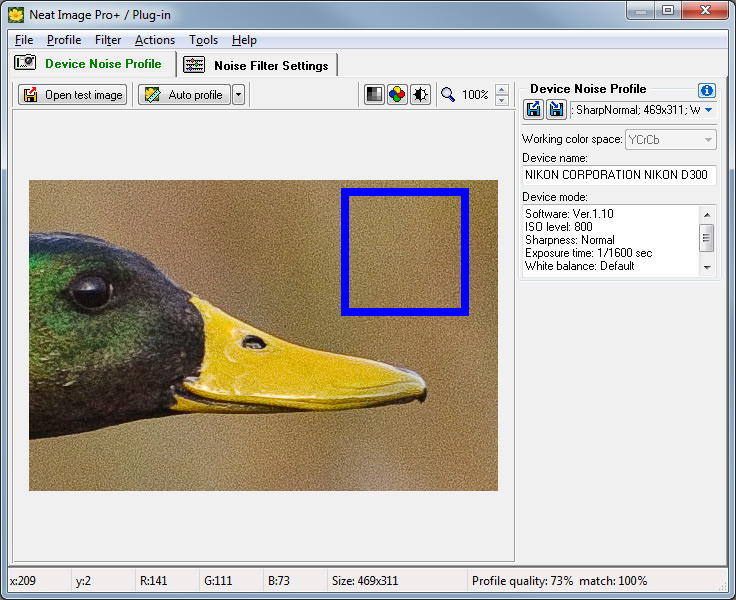 Personally, I use Noiseware Pro, which has a self-learning mechanism which automatically calibrate a precision noise profile and choose the optimal settings for each individual image. It has a few presets too, like portrait, night, landscape, etc. Most of my images are taken at night, and I am quite a happy with the result I get from Noiseware Pro. Thank you so much for this excellent article and site. Since buying my first DSLR I have been trawling the internet looking for articles such as this, explaining things in simple but unpatronising terms, and at just the right length of article. You manage to hit it just right and I have learnt far more from your site than I have done from the rest of the internet put together. Well done! let me know then your experiences with Noiseware Pro, please. Sounds good, I will do that as soon as I get a copy of it. Thanks for very nice article. (I have PnS camera) I read so many articles about the shutter speed aperture, iso and the creative angles of taking photographs. After reading all that I was eager to buy entry level dslr (D3000) although I want D90, Now after reading your article I think I can edit my images taken by pns to match somewhat with the dslr quality and save some money for D90. The s/w cd I got with my Samsung pns has very basic tools for editing photos. I have never tried using Photoshop. I will focus now on the postproduction. (before reading this article I was under impression that it is very difficult to do). Thanks again for the post. Girish, you are most welcome! Yes, you should definitely learn how to use Photoshop and Lightroom and start editing your existing images. And your decision to wait and get the D90 instead is a good one, because D90 is worth the wait. I couldn’t agree more with Nicola. Somehow I wonder how you find the time to write these excellent articles for all these years. Let alone having to test different lens, cameras, software. That’s a lot of work! and you nailed them all. FYI, I check your site everyday to see if there is any update. I’m a big fan. Keep up the good work. Thanks again for the great post. Thank you for your feedback and for visiting my site, I really appreciate it! Thanks a lot! Noise has been my problem for quite some time now! Thanks for the concise and informative article! GDX, you are most welcome! Let me know if you have any questions. 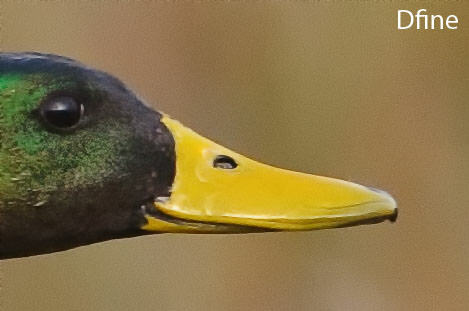 I’ve used Neat Image for years with my D70 and now with my D700. I especially like the 64-bit version of the plugin. It works best if you create you own noise profiles for your specific camera, and especially with the same settings as your workflow. I set my cameras on a tripod with a variable ND filter and shoot Neat Image’s target on the LCD. I choose every shutter speed (1 stop increments) from 30 seconds to 1/4000 for every ISO (also 1 stop increments). This is usually not possible without a variable ND filter. I then process the images through Capture NX 2 with the typical settings I would use and save them as 16-bit TIFFs that Neat Image can create the noise profiles from. I created a PhotoShop Action for the D700 that has Neat Image “auto match profile”, “auto fine-tune”, and “remove only half of noise”. The rest I do manually and selectively as needed on skies and flat areas that need more. I find that it’s rare I need to do more with the D700 though unless I’m over 5000 ISO. I disable high ISO noise reduction in camera, but occasionally use long exposure noise reduction if I’m using a tripod, and I do no noise reduction in Capture NX 2. This keeps Neat Image from getting a plastic look like it tends to with the default profiles. PhotoShop CS5 has the same noise reduction capability as Lightroom 3 since they both share Camera Raw 6 underneath. 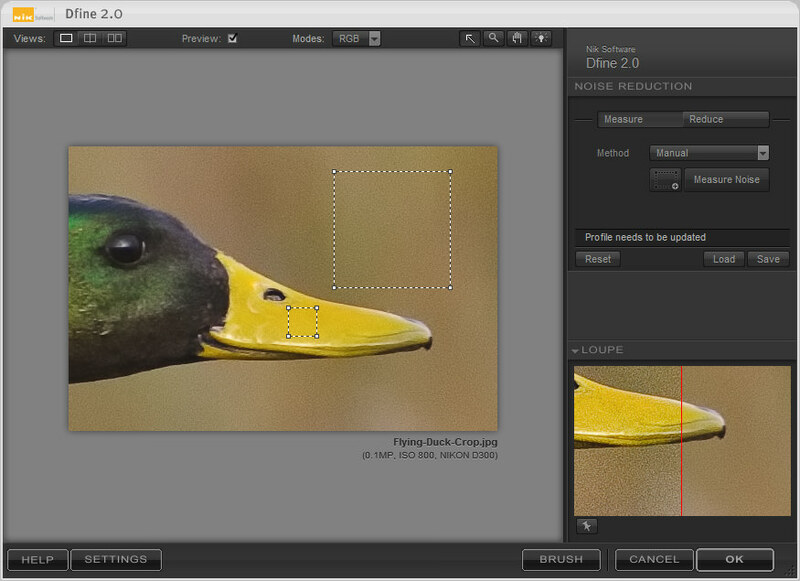 Here’s the trick on using it for .jpgs, .tiffs, etc. that have already been converted from raw files: right click on the image in Adobe Bridge and click “open in camera raw”. 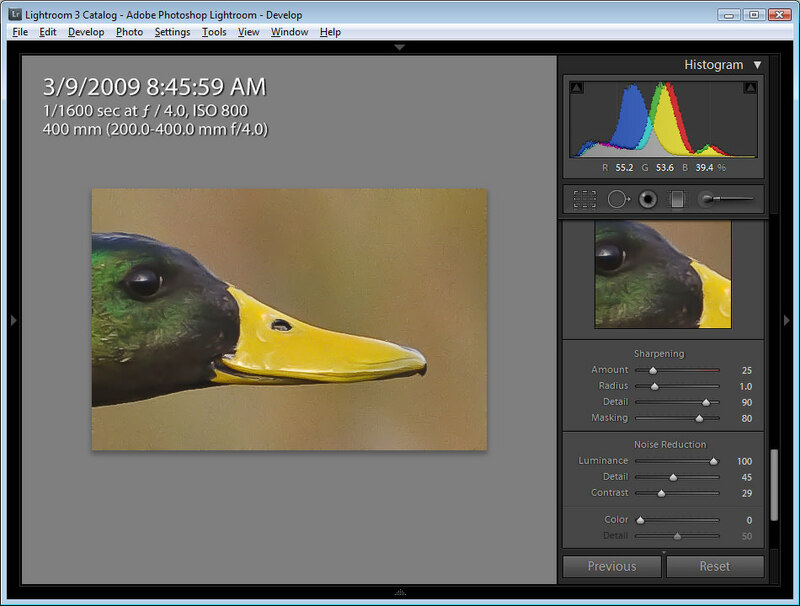 You will then have Lightroom 3’s luminance noise reduction and other sliders under the detail tab. Works great for those that aren’t using Lightroom 3 or don’t want to import an unfinished work. :-) I’m not sure how to do it in PhotoShop without opening Bridge though for non RAW files. I’ll have to play with some of these newer noise reduction programs, many improvements have been made over the years! Thanks for the in-depth article! Looks like Neat Image has been working great for your workflow. I’m sure it saves you a lot of time if you are doing batch processing…architecture is a little different to deal with than wildlife/people when it comes to noise, since you do not have to deal with selective noise reduction as much. As far as Photoshop CS5, yes, Camera RAW is the same for both Photoshop and Lightroom, but I wanted to specifically show the noise reduction filter, which I found to be pretty weak. Thanks for the tip on opening images in Camera RAW without LR3. If you want to open files in Camera RAW within Photoshop, you simply go to File->Open and select the RAW format. Any compatible RAW format will automatically trigger Camera RAW to open up in a separate window. Definitely try out Noise Ninja, it is very powerful! How do you think about Noiseware plugin? It have a lot options and it gives you the posibility of exclude noise reduvtion by tone (highlights, midtones, & shadows), colour and much more. I’m still learning it and I consider it a very good one. Hello Nasim, I just bought the nik software bundle but i dont know how to add it to Lr3…pls help..
Mymy, did you buy the LR3 plugin version, or the one for Photoshop? I believe they sell both. If you bought the LR3 version, then just install it, then open up Lightroom, press D, right click on the image, then go to Edit->Open in Nik Software. If you bought the Photoshop version, then you have to open up Photoshop in 32 bit mode first, then edit the image in Lightroom via Photoshop. Liju, there is no difference between standalone and plugin versions of Noise Ninja – it is the algorithm that counts and it is the same for both. Thanks for replying. 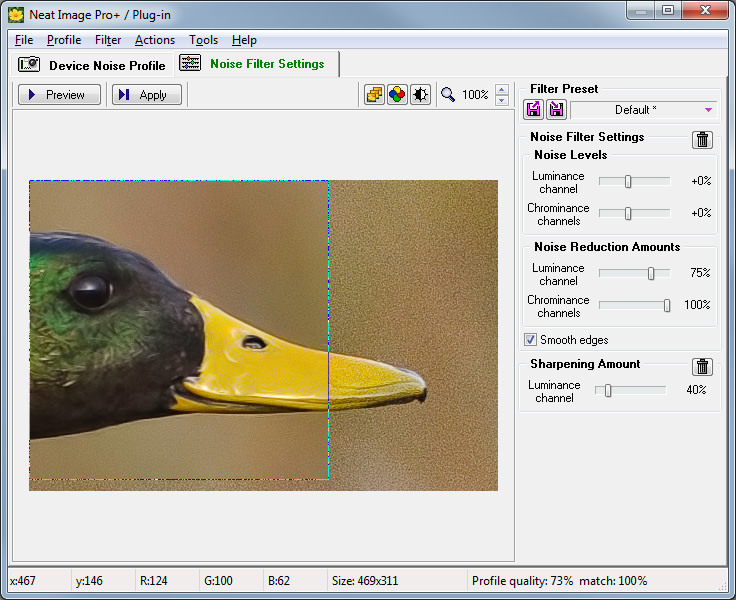 Have you had any experience with Capture NX2 noise reduction? I think, its doing a good job. I never tried a high noise image with it but just wondering, if you had any experience with Nx2 noise reduction. Thanks for replying. I will surely try Noise Ninja in the coming days. Do you have a recommended workflow, when using Noise Ninja? Would you recommend noise reduction at the end of all the processing or as the first step. Liju, not sure how I missed your comment! I would recommend to use noise reduction before applying sharpening in the final image – that’s how I do it. I must thank you for your inparting knowlege of photogrpahy world wide.I am benefiited by reading and am excited about photography. You are most welcome Dec! Thanks for the article. I noticed that Noise Ninja introduces artifacts (zigzags) on the bird’s beak, while the other programs did not. Is that something ‘normal’ with NN? I normally don’t touch the luminosity, but always use about 10% colour noise reduction, especially when shooting at higher ISO. Even the Canon 5DII has some colour noise then and it is very easy to get rid off. I THINK YOU ANS.MY QUESTION, RE: NOISE REDUCTION SOFT WARE,. USING LITE RM. 3, D’FINE OR NOISE NINJA CAN GET RID OF NOISE @ SPECFIC AREAS OF NOISE, I.E SHADOWS, DISLIKE THAT PLASTIC LOOK WITH TOO MUCH LUMINANACE. I’m a newby and found this page very helpful, many Thanks. 2. Cfn II Image 2: High Iso noise reduction.Options are Standard,Low,Strong and Disable. Is it better to let the camera do the noise reduction with some possible post noise reduction if needed? ,or just do it only with software? Which one would give better results? Long exposure noise reduction reads the sensor noise then subtracts that from the photo you shot. I forget at what shutter speed it kicks in, but I think it is around 1 second. Unless you need to take long exposures in rapid succession, I would turn it to Auto or On. High ISO noise reduction uses the camera’s built in noise reductions settings for various ISOs. 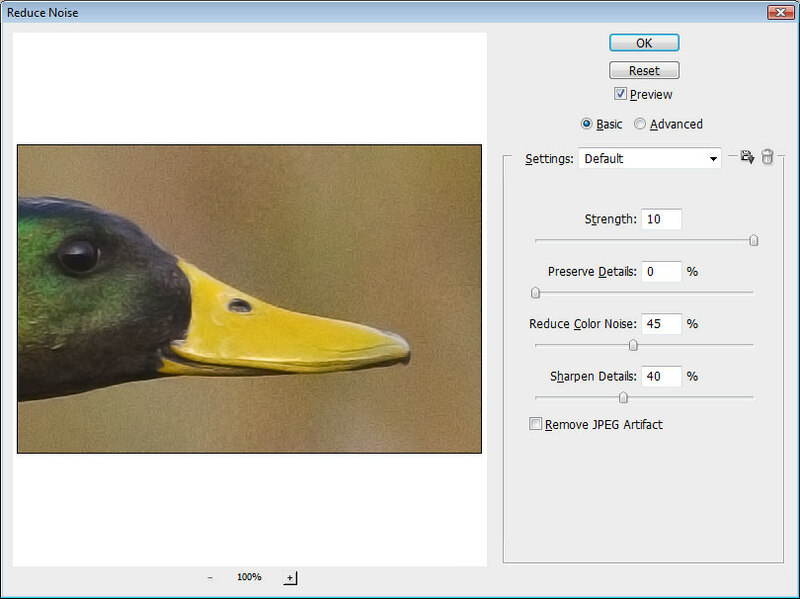 If you only shoot to jpeg and use photos for web display or small prints, this is OK. However, for best results you should disable this and tackle noise in post-processing. Another consideration is whether you want to spend a lot of time post-processing; a surprising number of wedding and event photographers shoot jpeg so they can save hours of post-processing the hundreds of “keepers” from the thousands they shoot per event. Of course, you can use high ISO noise reduction for non-critical photography to save time in post and disable it for any “special” images you want to make as good as possible and print large. I have been doing a lot of reading on the Internet to know more about photography and takean informed and balanced decision for purchasing my first DSLR. I have not found any site as detailed and comprehensive as yours. Whether its a Camera or Lens review, whether it is clarification of technical concepts such as Fx vs Dx formats, whether it’s learning about post processing – I found your articles to be detailed, informative and written as Lucidly as possible. Thank you for all your extensive knowledge and experience on photography which you so passionately want to share with others. Thank you so much for quite informative tutorial! I am a novice & have Nikon Coolpix 7100 & P500. I was told that I can not do a good job of editing my pics since my cameras fdon’t shhot in RAW files. So, is this true? I do not want to spend the money on Photoshop or Lightrioom if that is true. Thank you. I need some help with a very important matter. This matter involves one of the worst crimes in Canadian history. Would you be willing to have a look at 2 images and advise how they were manipulated and explain the process of how to show the way in which it happened? If you agree to have a look at the images I will pass oblong the website explaining the complete story in detail. This involves a major case of Racial Profiling to the point where the Black Family involved has lost everything they own. Thank you for the information shared through your webste. Very nice and informative article, thanks for this! I use Neat image for Noise Reduction, it does its job but however I find the image a little soft post doing NR. I wanted to know about how to do Selective Sharpening in Photoshop CS4. As I mainly shoot wildlife / birds, selective sharpening only the bird/animal after doing Noise Reduction would help, I presume! Was I the only one that thought the Lightroom noise reduction gave the best result out of the three here? Besides that, if you have Photoshop, you can easily export multiple versions of the same photo with different amounts of noise reduction applied in LR, then mask them together however you want. Not as convenient as Noise Ninja I guess, but good enough for me. Try DxO Optic 8 Pro Elite. It knows your sensor (camera body), the ISO value from the EXIF data and if there is a suitable profile for your lens available it *automatically* removes noise accordingly. The guesses are amazing but still can be modified manually. I was directed to your site via Google. I recently photographed a wedding and I’m not happy with some of my results. Some of the photos have a lot of noise and odd coloring. I currently use Elements 11 for my editing and the noise editing portion in horrible. You suggested Noise Ninja. Is there a way to try to this software with one of my photos before I commit to purchasing the entire product? Thank you for any help you can give to me. Does working in 16 bit mode allow more or better noise reduction than working in 8 bit in either Photoshop or Lightroom? What is your personal preference and what do you use for your noise reduction? I’m using a Pentax K-3 and Lightroom 5.6. I’ve decided to not apply luminance noise reduction unless seriously cropping. For color noise reduction it’s interesting to look at a 3200-iso DNG RAW photo I took handheld with a Sigma 18-250 Macro lens at 70mm, F/5.6, 1/8 s, looking across the river from Dartmouth late at night. I find that I can reduce the Color noise reduction setting well below 25. (It appears that anything over 8 has no effect on the darker areas of the photo, and only washes the colour of trees etc. So 8 is my default color noise setting!) Usually I have ISO max set to 400 for use during the day. Did you try Noiseware in the end? I liked it when more subtlety is needed because it preserves detail well. Denoise was good for applying with heavy hand. You are correct in that the “solutions” that come with the Adobe software are too simple. I find Camera Raw better to sharpen than remove noise! A well done analysis, except there is a glaring omission: the Lightroom noise reduction process is essentially identical to the ACR module that is invoked when going from a RAW image from Bridge to Photoshop. So it is misleading just to point to the crude noise reduction process that is available later, in PS proper. Some of us prefer PS over Light room, for a variety of reasons, and we are not missing anything on the noise reduction front. All the plugins you mention included of course. 1. Views of noise removal and spot removal in non-RAW files in ACR? 2. Sometimes I also additionally use Neat Image in PS. I have set Neat Image to not sharpen as I thougth that migth create a problem if done before final resizing (but I have sharpened in ACR). That applies both to my own original RAW files and the scanned tifs. OK? Thanking anyone that migth give an advice! I own an iTouch with a 0.7MP Camera lens. Suddenly, all the photos that I click aren’t clear at all and the face are a blur. You can see noise even without zooming. What can I do? Is it just that my camera quality is too low? I have learned a lot from this site. Even in some of my images i am observing noise in background exactly similar like you showed in first image(Duck). Even though I use ISO 100 for all my images still getting this noise. What might be the reason. Is it the problem with the lens or I am not exposing shots long enough to get proper light. I have Nikon d3200 with 18-55 mm VR kit lens. Excellent and very clear explanation of something I have been struggling with. Great post to help deal with noise. I’ve never really struggled with noise mostly doing daytime shoots and studio shoots, and often adding noise for effect. But something I’m finding more and more enjoyable is night photography and timelapses. So noise is now becoming an issue. My 5D (mk1) is definitely an issue. Just at ISO 200 there is a fair bit of noise and it’s pretty much useless at night. My 60D performs much better, but in reality I don’t want to use it at over ISO 1600. I’m finding though that I need to keep exposures below 20seconds. Anything more and the stars show too much of a trail. This means using ISOs of 3200 or even 6400, and that’s using aperture of f2.8. So, as much as an upgrade to a new camera would be nice (been researching Sony A7s/A7sII purely for night photography) I’m limited to what I’ve got. Any suggestions what is the best technique/software to use for astro photography noise reduction? I obviously still want to keep a lot of star detail in the sky. Bumping noise reduction up in Lightroom can take away a lot of stars, often too much. My name is Tony. I had been a film photographer for a little over 31 years. May of 2015 I decided to give Digital Photography a go. My main question is: I recently had over 200 color print negatives converted to Digital Format. While many of the photos came out beautifully, I lost perhaps 110 photos to excessive noise, which I could eliminate with three free PP software. The person who did the conversion explained that the problem is with the chemicals on the negatives breaking down and that is what caused the excessive noise. Will I be able to eliminate noise using your recommendations on photos that have excessive noise caused by the digital conversion? My first digital camera is a Nikon D70 which I like a lot. The only issue I have with this camera is some CA, which is only visible under a magnifying glass. Of course I should mention another issue and that is Limited Dynamic Range on some colors, but not all. I think that the CA may very well be caused by the Nikon lenses that were made for Nikon Film Cameras. Thank you very much, I really appreciate your willingness to help. Great article, i read it with great interest. I am an hobbyist/amateur photographer with a passion for nature and landscapes. I have recently just come back from a workshop in Finland. Photographing Brown bears and Wolves, i had really high expectations whilst looking on the back of the camera. I was mainly shooting with the Nikon d500, 300mm 2.8 with a 2x tele. Where were shooting in low light conditions. The subjects were roughly about 80-100m away. My question is that 99% of the images were of a low quality with a lot of noise. I was generally shooting matrix metering, f5.6 iso 1000 AF-C.
My conclusion is that it was a combination of the lowlight and teleconverter, I have looked at the group leader (professional d4s, 600mm) using virtually the same setting, their images are tack sharp. This was very helpful, thanks so much! I often have to increase ISO when using faster shutter speeds for action shots and get unwanted noise. I tried both the Photoshop and Lightroom methods and you were right, Lightroom is a much more powerful tool in this instance. Thanks for the tips! Thank you so much for this excellent article and site. Thank you. A very clear article. Much appreciated. It would be nice to read your very interesting articles without the ad’s popping up all the time. Do you still recommend noise ninja? I’m just starting out and i’m having trouble removing noise from photos. A lot of the times it still ends up being too blurry. I’m playing around with paintshop pro, but i do not think this is the right tool for me. Thank you so much for this very helpful article and for much of your post-processing material. I’m only using a bridge camera (Panasonic DMC FZ40) which I inherited from a cousin. I’d love to upgrade to a DSLR, but can’t manage the cost just now. Decided that I’d commit to getting the best images possible from my existing camera before I take out a bank loan, win the lottery, rob a bank, whatever to afford a good DSLR. I think I can learn a lot that will make me a more skilled photographer with an eventual move up. 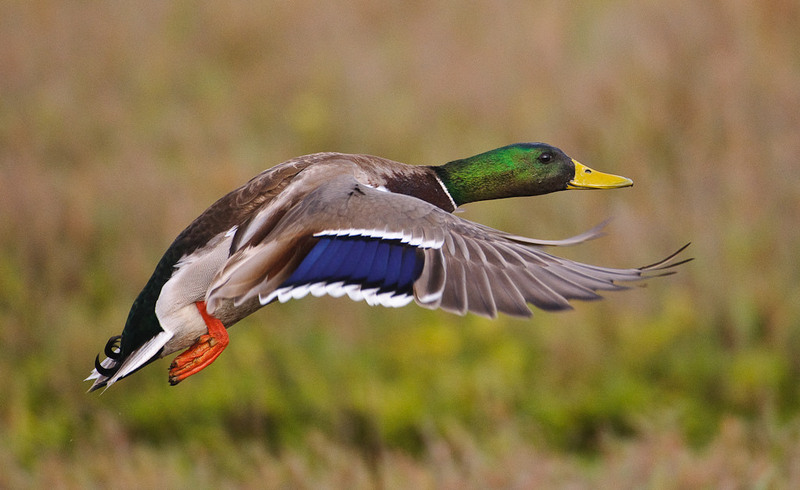 Mostly photograph birds–tricky with limited equipment and the little dudes WILL go dodging into shadow. Have been plagued by noise, but found that Nik Dfine has improved matters substantially. There’s much more to explore, but this is encouraging. Many thanks. As always, my thanks for an excellent article. I shoot a lot of social events under available light. This is routinely done at ISO 6400, Nikon D810, because I *have* to get a blur-free image. Noise/Grain is the defect that comes with ISO 6400. I use PS6EE with the PerfectlyClear v3 plugin which offers two noise reduction presets, and the ability to tweak all the sliders associated. Depending upon the image, I will mask the image and selectively reduce noise where it is less obvious or detrimental to the image. 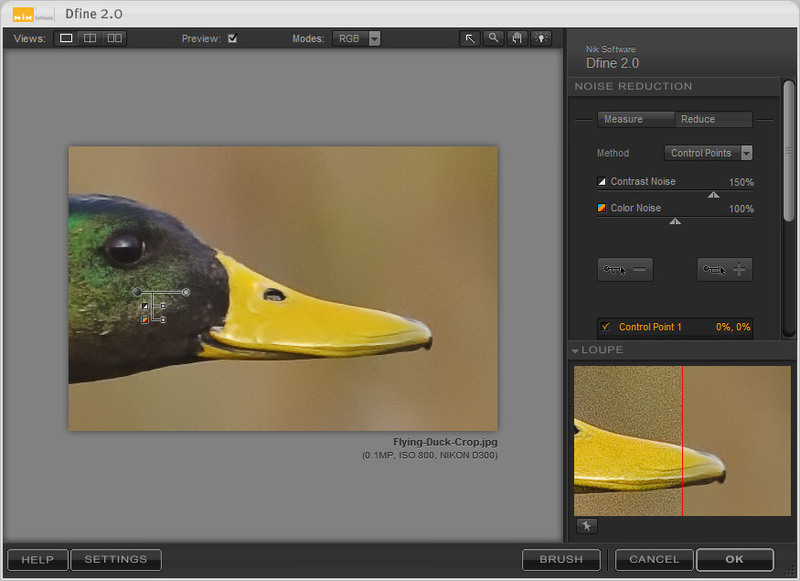 As for the RAW image noise reduction, WidsMob Denoise (www.widsmob.com/denoise) should be another recommended program. It provides an instant preview for the result.